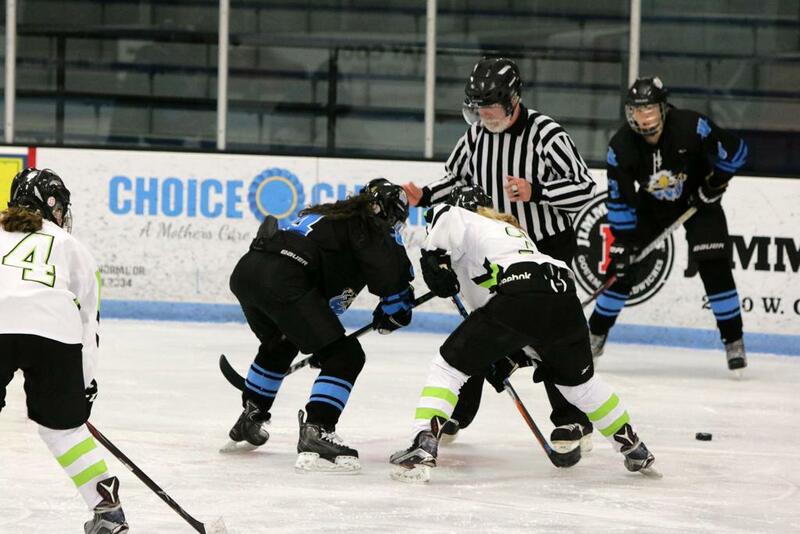 The WiPH Girls Game of the Week had the Wisconsin Valley Union traveling on a cold day to face off against the Rock County Fury in a non-conference game in Janesville. Both teams were trying to get their game ready for next week as playoffs start. For Rock County the game gave them a chance to get their offense going again after a tough loss against Arrowhead Tuesday. 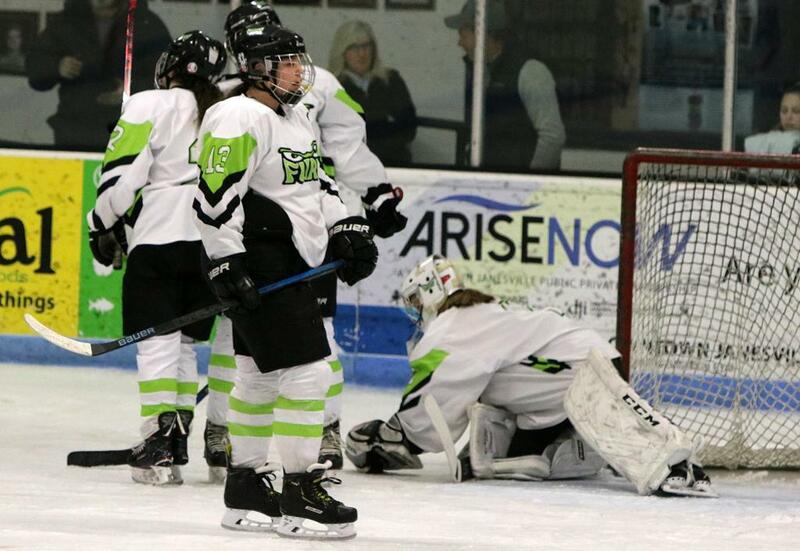 Union goalie Pistol Cowden was gonna see that it wasn't on her time. 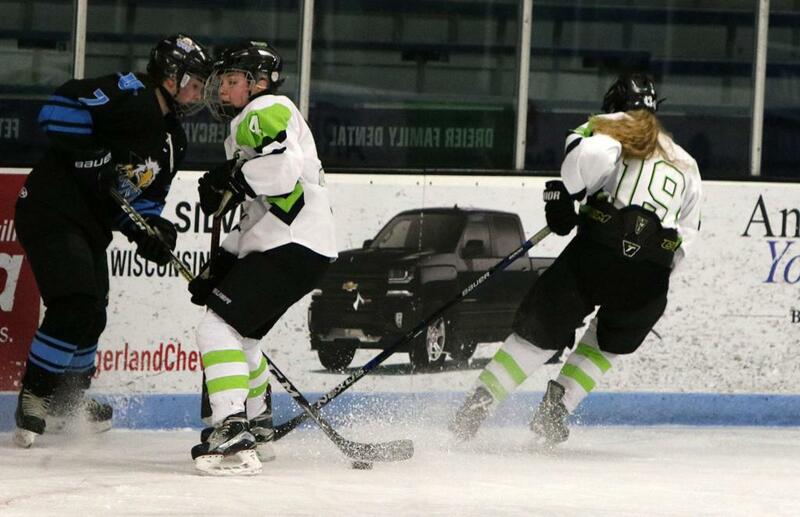 Cowden stopped 29 of 30 shots and Shelby Tryba had 2 goals and assisted on the other in a 3-1 win. 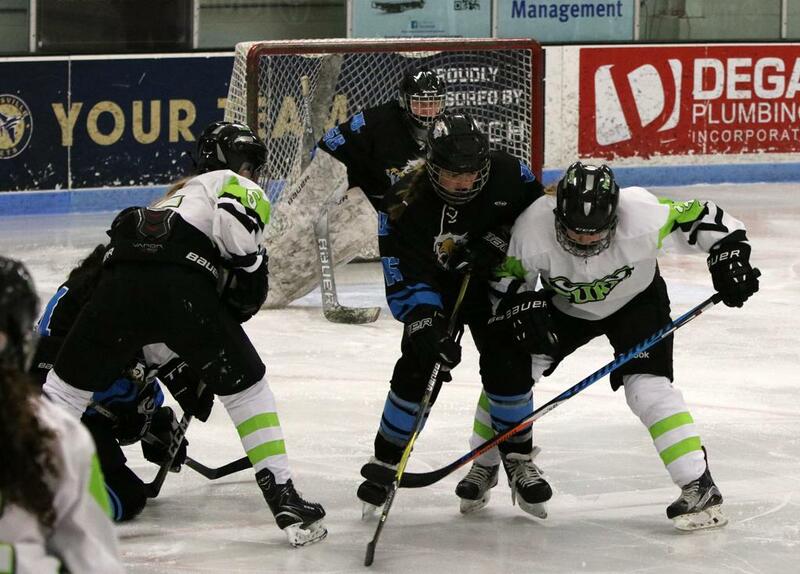 Tryba opened the scoring almost 2 and a half minutes in as she had the puck right mid circle and got off a shot thru a screen that got past Fury goalie Olivia Cronin for a 1-0 first period lead. Rock County outshot Union 9-7 in the opening period. The second period saw Rock County's Alyssa Knauf get a golden chance one-on-one with Cowden but Cowden kicked out the leg pad to stop the game from being tied. 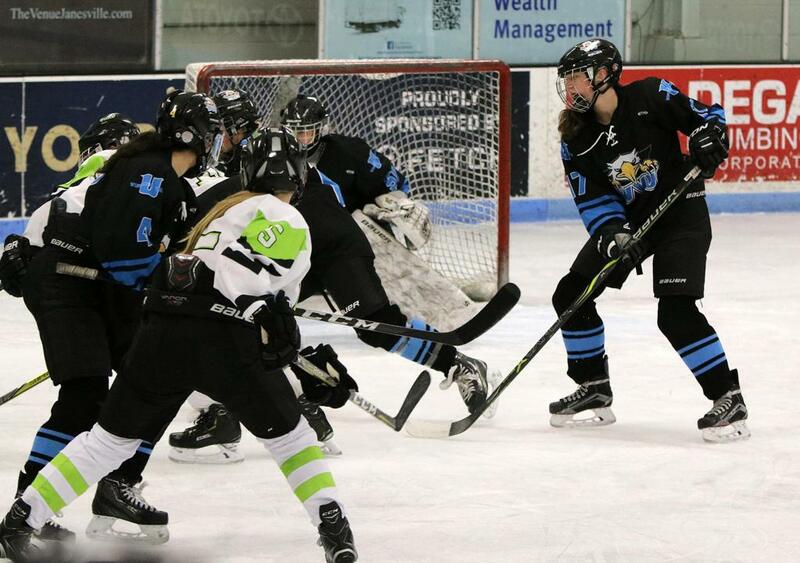 However, Lauren Broeker got Union on the board late in the second period on a mass pile up in front of the Fury net making it a 2-0 lead through two periods. Rock County came out with a burst of speed in the third period but Cowden came up to the challenge each time. 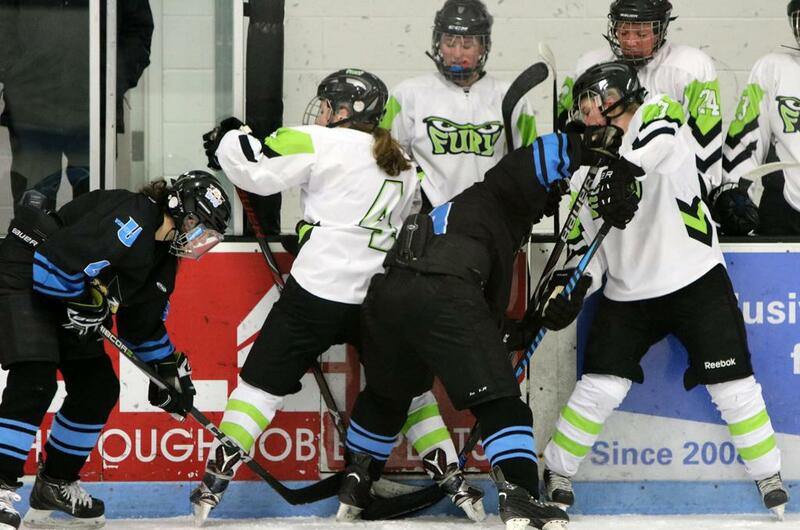 Finally, the Fury broke through when Mya Maslonka wristed a shot high on Cowden for a 2-1 game with just over nine minutes left. The Fury seemed to pick up some momentum off the goal but couldn't get a bounce to go. 52 seconds left in the game the Fury used their timeout to get set for an extra attacker. 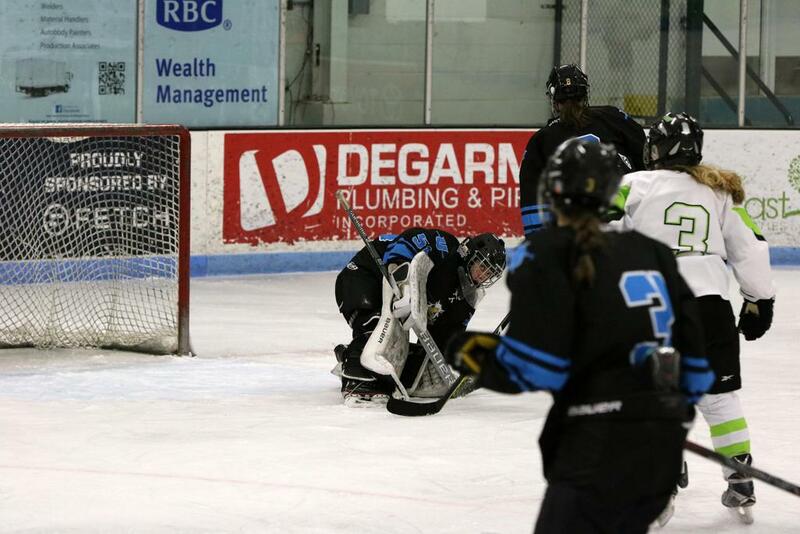 Ten seconds later the Union iced the game on an empty netter by Tryba for the final 3-1 win. Tryba after the game likes the way this team has come together. "We all come from different towns but I never thought we would come together like this," said Tryba. "We are all like sisters which is fun, and we all got each other's backs." Union Coach Dan Bauer was happy to finally get a win in a close game. "We lost a couple close ones last week. Pistol has given us a chance to win games being more relaxed back there. She stays calm, which helps in not being out of position." Cowden ended with 29 saves while Cronin had 20. 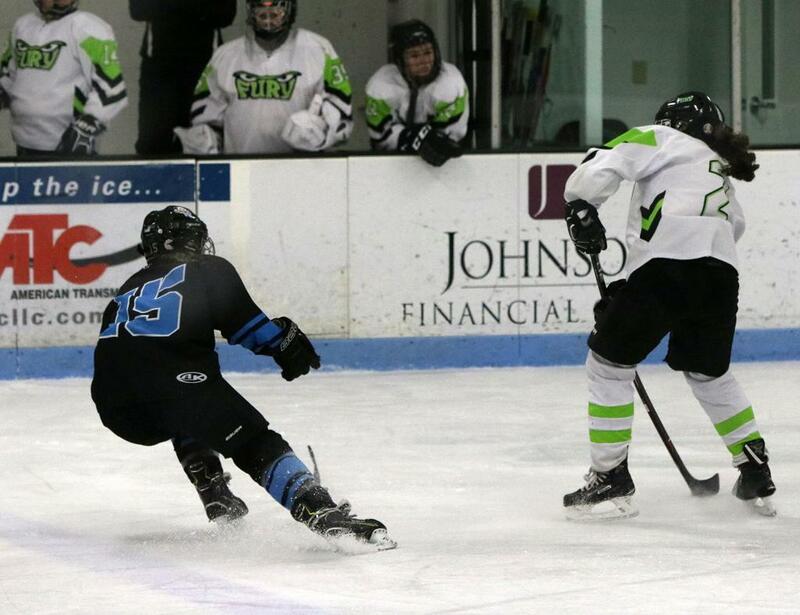 The Fury play Monday in Sun Prairie against the Cougars where the Badger Conference Champion will be crowned. 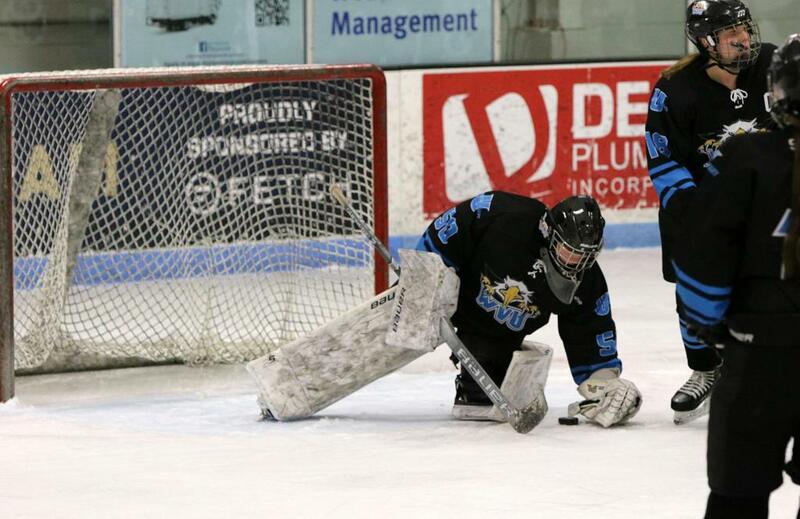 The Union has a quick turnaround with a game Saturday against Stoughton Icebergs.